Free Starbucks coffee only for tonight 19 March 2016 (Saturday). Bring your own tumbler from 830 to 930pm. 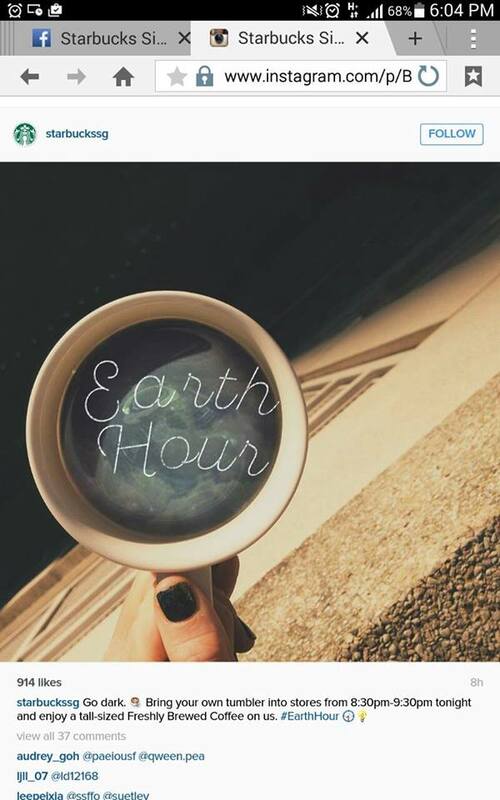 In support of Earth Hour.